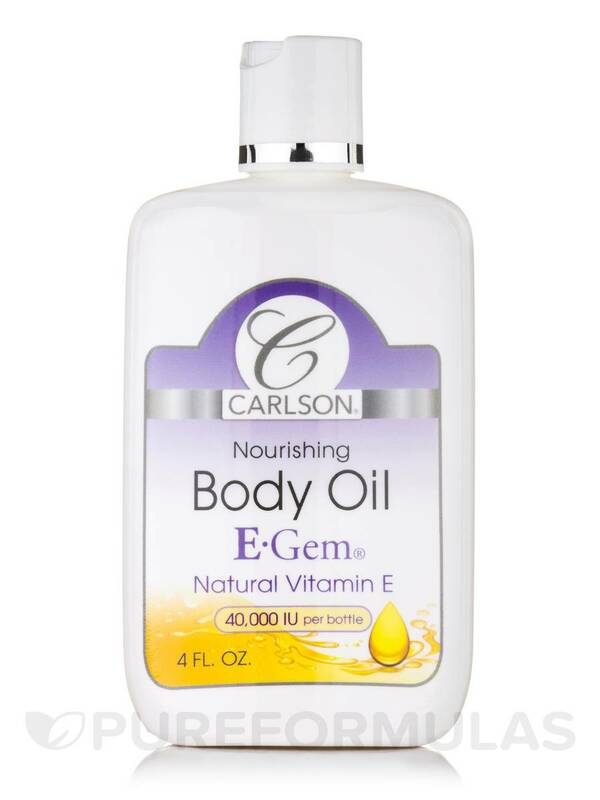 E-Gem Body Oil by Carlson Labs is great. Kept my incision soft. 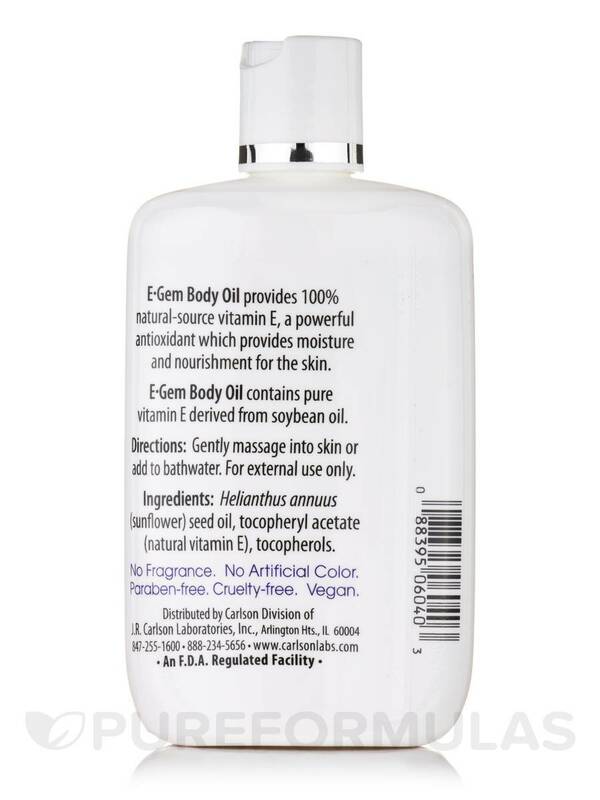 E-Gem Body Oil provides 100% natural-source vitamin E‚ a powerful antioxidant which provides moisture and nourishment for the skin. 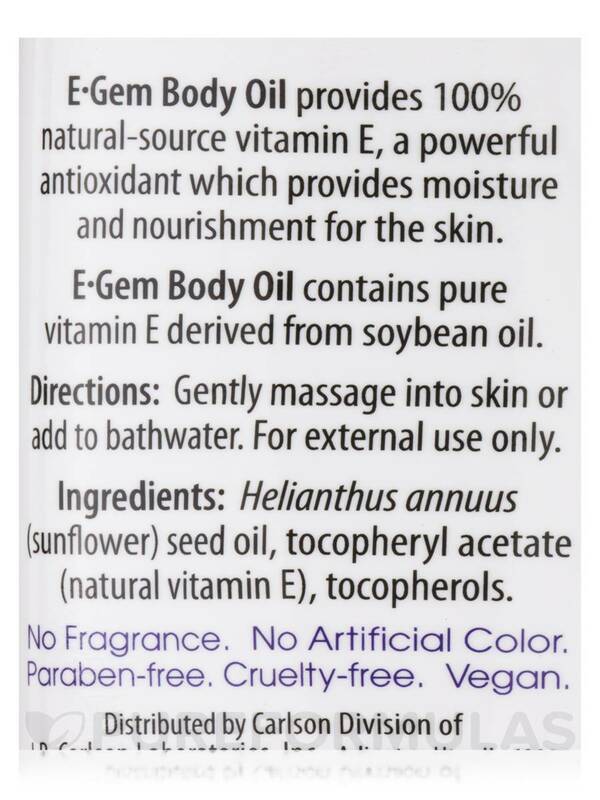 Helianthus annus (sunflower) seed oil‚ tocopheryl acetate (natural vitamin E)‚ tocopherols. No Fragrance. No Artificial Color. Paraben-free. Cruelty-Free. Vegan. Gently massage into skin or add to bathwater. Very easy to use. Had surgery and was told to apply Vitamin E Had purchased other oil but had to let it sit in warm water before it would come out of bottle I use 3 other Carlson products and highly recommend.